Hello Summer time and its long evenings! Perfect for refreshing fruit cocktail recipes. This Veracruzana Cocktail is my drink of the day. The list of ingredients in it is a reminder of everything we love to help us unwind on a sizzling summer day. The recipe combines Patron tequila, pineapple, fresh basil, and agave nectar for a refreshing drink to enjoy with friends. For more great cocktails, please visit my Pinterest Cocktail hour board. This Veracruzana Cocktail is my drink of the day. The list of ingredients in it is a reminder of everything we love to help us unwind on a sizzling summer day. 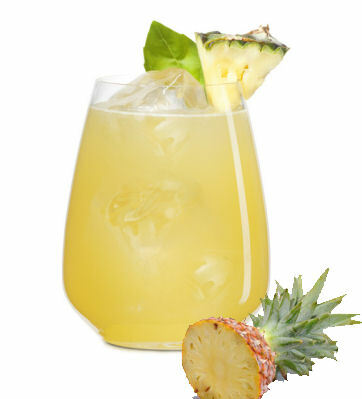 Muddle pineapple and basil leaves in a glass. Add the remaining ingredients and shake vigorously with ice until well blended. Tags:is a reminder of everything we love to help us unwind on a sizzling summer day. This looks awesome! But you don’t add anything else to fill the glass up – club soda? pineapple juice?